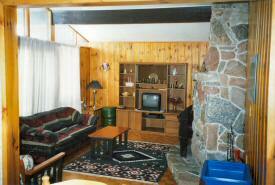 Beautiful year round private 4-bedroom cottage located 90 minutes from Toronto. Immaculate, pine panelled living room, parquet flooring, fireplaces, full kitchen, firepit, private yard, gas BBQ, picture windows and deck overlooking the water. Two new 4-piece bathrooms (1 is an ensuite). 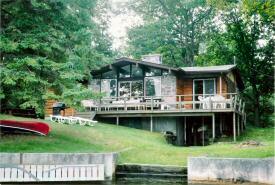 An ideal getaway for swimming, fishing, boating; includes pedal boat, canoe, life jackets. New cedar custom 12' x 14' dock. Optional motorboat rental. Family rental. Deposit required upon booking. Other Pricing:     Weekend/Off Season Rates available upon request.